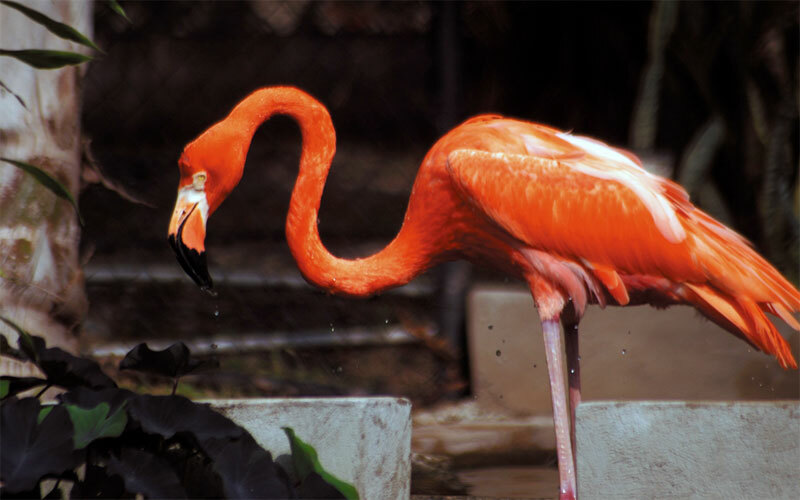 Caribbean Flamingos are the only Flamingos to naturally inhabit North America and several islands in the Caribbean. They are best known for their pink plumage with a pink and white bill that has a black tip and can grow up to 1.1 to 1.5 metres tall and have a wingspan of up to 1 metre. They have a loud, deep honking call that is similar to that of a goose. They call loudly during courtship but they have a quieter call while they are feeding. Flamingos have a wild lifespan of 20 to 30 years but in captivity have been recorded as living up to 50 years or longer.